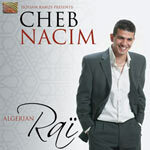 Cheb Nacim – The latest and most amazing new voice from Algeria. An original voice with a modern style, produced by Hossam Ramzy, the back bone behind many of the top number 1 hits for Algerian Rai music by the gkings of the Rai such as Cheb Khaled, Rachid Taha and Faudel. How do you define the connection between inspiration and the origin of one’s being?How do you pinpoint the artistic background of someone who considers herself a collector of influences of places she has lived in and those she carries in her genes, rather than belonging to any particular part of this world?Dalinda, originally Bosnian, was born in Libya, on the Saharan fringe of the Mediterranean. Sheikh Mohamed Al Helbawy was born in Bab El Shaareyya, Cairo, on the 9th of February 1946. He learned to recite all of the wholly Qouran at a very early age on the hands of various Sheikhs in Cairo. He enrolled into the University of Al Azhar (The University for Islamic and other Academic Studies). He also studied the arts and science of Oriental Music & Voices. “RAHHAL” (Traveler) is an album by a group of traveling artists, who through all the above have even forgotten from where they originally emanated. They live, currently, 65 miles into the desert west of a small village called Janaklees, famous for its grape vines and wine making, which is also about another 60 or so miles outside of EL BEHEIRA province of Egypt. 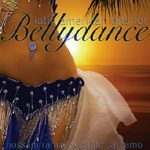 They travel all over the country, up and down the Nile performing in weddings, festivals and religious celebrations.